How to Prevent Identity Theft & Phishing - What is Identity Theft? Identity Theft: What It Is and How to Prevent It. 1 Identity Theft: What It Is and How to Prevent It. 2 What Is Identity Theft? 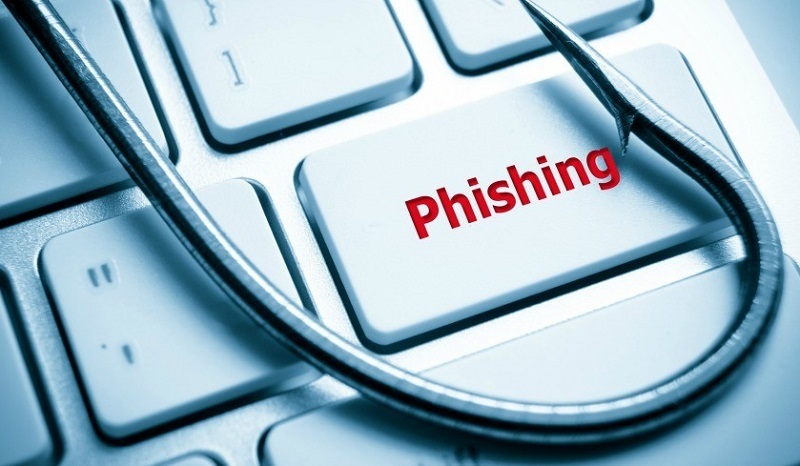 4 What can I do to prevent identity theft or ‘phishing’? 5 What to Do When Your Identity has been is Stolen or Compromised. Identity theft is a common criminal activity in this modern era, where people are highly engaged in online activities and dependent on their personal identity for securing accounts and belongings. This criminal act includes hacking bank account details, the mining of social media passwords, taking over identities on major government websites, and other similar acts. In the US alone, 534 million personal records were compromised over the past ten years. Online criminals are able to hack business, government, and private sector databases for key identity markers that they can use for criminal purposes. Thus, the increasing need for identity theft protection is becoming apparant in order to prevent the further growth of identity theft-related crimes. It is mportant to define what constitutes identity theft. Identity theft involves any deception and manipulation that may compromise personal data stored in databases. Personal data may include usernames and passwords for online accounts, banking information, debit and credit card passwords, Social Security details and even Health Card details. When these data become available to the public or a passes into the hands of the criminals who instigated these acts, the population is at risk, with people losing jobs, risking their community reputation, exposing their private identities or being rejected for loans. Preventing this crime of the 21st century requires a multi-faceted solution. Identity theft is constantly evolving as technology advances. The thieves’ modus are getting more and more personalized. 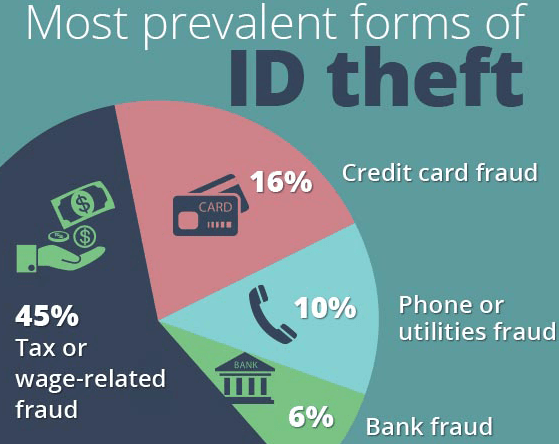 The most common form of identity theft is tax and wage related fraud, usually through fraudulent tax refund claims. Criminals send false claims to the IRS with stolen personal details such as your Social Security Number and name. Identity theft crimnals often make use of ‘phishing’ techniques, where victims divulge their important private information to fake websites and via fake links, that ask them to do so. A typical ‘phishing’ email will try to direct a user to a fake, but legit looking website, where they are asked to update a password, credit card, or bank account numbers. What can I do to prevent identity theft or ‘phishing’? Users may be able to prevent being conned by taking extra caution in divulging personal information online. Learn to discern false advertisement from the real ones and to identify spams and fake emails. If you click on a link in an email, then check the url of the linked website carefully to spot fakes. Keep track of your credit score to see if any suspicious transactions are happening in your accounts. By spotting highly suspicious transactions, you will have the power to freeze the account and to locate possible suspects to a possible crime. For security, wireless networks used for Internet and telecommunications should be checked regularly. There are times when the network is compromised by a third party, which may entail a breach in the security of its intended users. Similarly, one should also take caution in using the public Wi-Fi and public communication networks, as these are prone to identity monitoring. Only download resources from reputable sources by checking if the source website has security certificates or if the website is known to be a source of a virus or malware. Double checking the integrity of the source prevents you from having your device compromised. What to Do When Your Identity has been is Stolen or Compromised. Identity theft on a website can get more complex than “just” having your bank account compromised. Some criminals may hack into your social media accounts and work their way from there, asking relatives and friends about your personal information; details that may be deemed useful for further hacking. To prevent this, lock down the problematic account by reporting it to the social media administrators. There are also anti-phishing plug-ins and software that you can you can install if administrators are taking too long to respond. Most programs work by monitoring your personal information, protecting your identity from potential threats, and helps to point out how you can avoid identity fraud in any online situation. You may also file charges to the government agency concerned if the degree of identity theft affects your entire life. When financial accounts are compromised, contact your bank immediately and secure new accounts with newer, better passwords and username.